As many of you know, we recently welcomed our new son, Emory, to the world. As I take some time off from work and blogging to spend time with my family and get to know my new little one, I am thrilled to share with you some amazing posts written by some very talented bloggers. So please sit back, relax and enjoy this guest post and leave a comment letting us know what you think! Today we have Jessica from Consonantly Speaking & Speechie Freebies.sharing some great information all about client awareness and carryover. ENJOY! At the end of the 2012-2013 school year, I had my students complete surveys (found at YourTherapySouce.com) as to what they liked, disliked, learned, and wanted to learn about their speech and language therapy sessions. Prior to passing out this survey, I had recalled every session or two, explaining what each student’s goals were to him or her. I felt confident in my strong points of sharing goal knowledge, keeping therapy fun, and choosing activities relevant to student age/interest. What I found out was eye opening – my students knew their goals but some did not know why they were working on them or why working on them mattered. Most of my students with articulation disorders were aware of their speech difficulties for the most-part, but many of my students with language disorders or a more specific communication disorder completed the survey showing that they were not as aware of how their goals related to everyday life or their communication disorder. Even a few of my students asked when they would be “graduated” from speech. In this post, I will discuss some of the methods and products I have used to discuss goals in therapy as well as why I discuss them. In addition, I will discuss methods and products that I will use to change the way I address this topic next school year. I feel that it is essential to discuss a client’s goals with him or her. If a student does not know his or her goals, how is he or she going to meet them? In addition, I feel that it is ideal to include a student on creation of his or her goals so he or she can feel ownership of them. This will make each client more likely to want to meet his or her goals if it is what he or she wants to get better at. Finally, it is important to explain to your client how working on a goal will make life easier for him or her. Tell your client that working on grammatical skills will not only obtain him or her better grades in school but also cause him or her to have a resume that employers will want to read. Tell your client that working on organizational skills will not only help him or her turn in assignments on time but will allow him or her to keep appointments and a job. 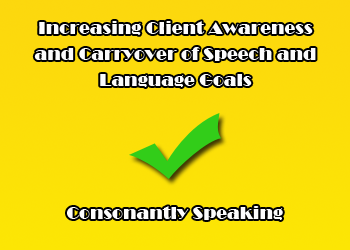 Tell your client that clear, fluent speech will not only help people understand not only their questions and requests in class but it will also cause people to not ask him or her to repeat himself or herself as frequently. This may motivate and help clients understand how communication affects them socially, academically, and with life skills. There is much debate in the special needs community over the age to discuss a child’s diagnosis or not. I am not going to argue either way in this post, as to not incite debate. Either way, I generally discuss this topic with the parents of my client to discuss when/if and how they would be comfortable talking about their child’s diagnosis with their child. Below are my top 10 tips with products and materials that I plan to use in the 2013-2014 school year with my students. I am looking forward to higher student ratings on the survey next year and for better client education overall! 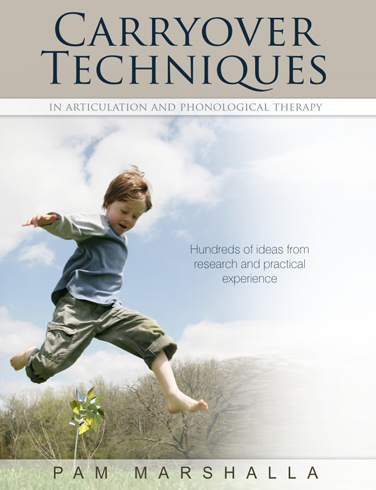 I hope these tips/tools will encourage you to think about the way you explain speech-language therapy and goals to your clients! 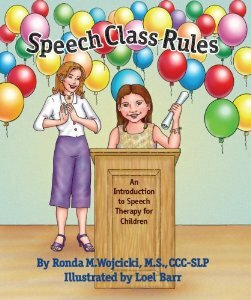 I intend to read the books “Speech Class Rules” by: Ronda M. Wojcicki, M.S. CCC-SLP and “Whole Body Listening Larry at School” by: Kristen Wilson and Elizabeth Sautter (both speech-language pathologists) to my students. “Speech Class Rules” discusses the format of speech-language therapy sessions, how different students are working on different goals, the rules of a speech classroom, and how a student is dismissed from speech-language therapy once goals are completed. “Whole Body Listening Larry” talks about listening skills in the classroom involving not only listening with your ears but your eyes, hands, mouth, feet, brains, and heart. In addition, I will share the format of therapy sessions, discuss any rules particular to my classroom, and place a visual or two citing the rules on my wall/whiteboard. This way instead of disrupting a session to recite the rules, I can point to them quickly. At the beginning of the year, I discuss each student’s goals directly from the IEP and answer any questions each student may have. I also discuss goals prior to and following each students’ IEP meeting. This year, I intend on using the “Chicka Chicka Boom Boom” goal sheets from Speech Room News for my elementary school students and either the “Understanding My IEP Goal” document from Speech in Secondary or “Middle School Transition” form from The Queen’s Speech. These forms discuss what students are working on in speech-language therapy in a more fun, involved way than reading from the IEP. In addition, around Christmas time, I have students write their goals in Christmas cards to their parents with a cute line such as “I’ve been extra good this year practicing my ____ goal”. There are some posters in which I have purchased to use in my classroom which a great at reminding students of their goals as well as the classroom rules. I purchased the posters for products in which I use as therapy tools including Social Behavior Mapping, Story Grammar Maker, Whole Body Listening Larry, The Zones of Regulation, The 5-Point Scale, and more. I have also used many of the visuals/posters on speakingofspeech.com. Finally, a great new visual I purchased and plan on using next year is the Speech-Language Therapy Objective Binder from The Queen’s Speech. 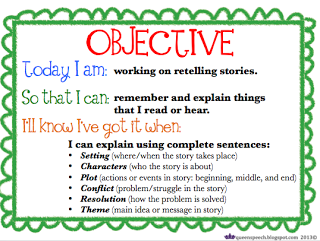 It has colorful text and discusses what the client is working on that day, why, and how the student will know that he or she has completed the goal. If you purchase the companion, which I have also done, you can add your own pages of objectives for students and print daily progress notes. I have a feeling that if I use this every day, my students will definitely understand what they are working on! The Speech-Language Therapy Objective Binder, which I wrote about in #5, explains the reasons for practicing each goal related to academic and life skills. If you are looking for Common Core resources for the speech-language pathologist, look no further than Crazy Speech World’s Common Core Resources Online document which you can download for free on her site! There are SO many resources online in which you can download homework to send with your students. In addition, I have read many blog posts online about purchasable resources to photo-copy pages from and how to organize the way in which you send homework home. I generally ask my parents if they would like homework sent home or not. This way, I know that it will get done as there is a verbal/written contract between myself and the parents as well as their child. I have had most of the homework I have sent home come back. Check out speakingofspeech.com for lots of speech homework resources! Super Duper Publications’ Facebook page offers a free worksheet each work day. Erik X. Raj found a way to make his homework sheets smaller which guaranteed more returns (you can download the mini homework sheets here). Apps are also very motivational to students as many are animated and often offer games within them. 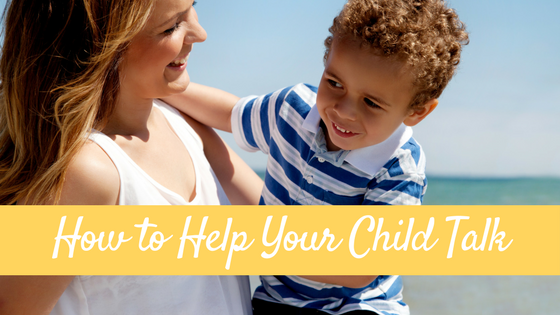 Sending homework home with a client lets them know that they need to practice throughout the day and that their parents are also going to be active in their therapy. If you want parents/students to track progress at home, send home a progress tracker such as the one from Busy Bee Speech for articulation skills. My students whose parents are active in their child’s speech-language therapy generally progress faster. In addition, my students know that they are expected to practice their speech sounds at home as well as at school. Most of my parents come to their child’s IEP meeting, but there are lots of great ways to keep them involved throughout the school year! Share good news with parents by making positive phone calls about how a student is performing in speech-language therapy (idea from Erik X. Raj) or by sending a letter over the summer to show clients (and parents) you are thinking about them (idea from Activity Tailor). I have set up brochures and information at parent-teacher conferences as well as invited parents to come to their child’s speech-language therapy sessions. There are lots of handouts about various communication disorders at Super Duper Publication’s website called “Handy Handouts” downloadable for free to share with parents. Finally, communicating to parents about what is being focused on in speech-language therapy provides a great way to foster conversation when the student comes home as well as to provide insight into what to practice at home. There are a few different school to home contact sheets I have seen online, but my favorite is the one from Speech Gadget because it not only has text but images and a spot for additional notes and return. Carryover of speech and language skills is tough. Some of my students may feel (hopefully not too many!) that speech ends once they leave my classroom. To make sure this is not the case, I plan on using a few different handouts and monitoring activities next year. One that I blogged about on my website is involving classroom teachers in my students’ communication by having them provide positive reinforcement by handing them a card to place in a fish bowl in my room for the possibility of a prize! The teacher must write the goal in which they “caught” the student working on in the classroom on the card (which you can download for free here). Adventures in Speech Pathology posted a free, downloadable slip to give to teachers as a reminder of what speech sound a student is working on in the classroom which includes a space to write tip of how to remind the student to produce the sound. 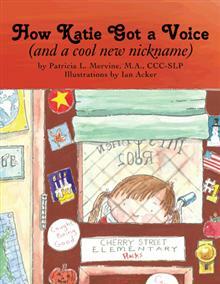 Children can also complete and pass one of the “My Communication and School” handouts (also from Adventures in Speech Pathology for free) to their classroom teacher, which tell about strengths, speech/language goals, how their speech-language disorder may affect them in the classroom setting, and how to contact their speech-language pathologist with questions. 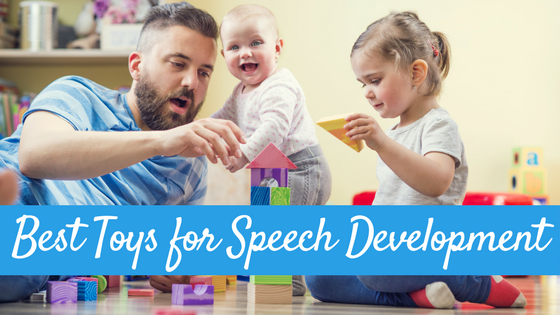 For carryover at home, Adventures in Speech Pathology has great worksheets for activities in which to practice the /s/ sound. 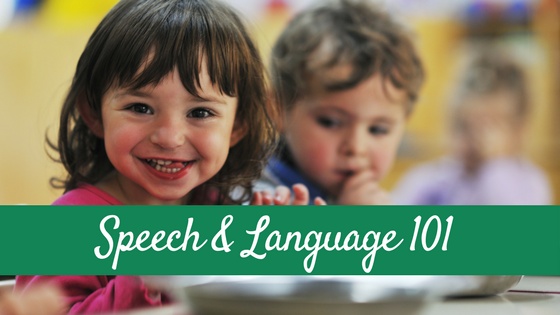 Both Heard in Speech and Speak Listen Play have slips to send home explaining the reading and conversational carryover levels of speech practice for parents to work on with their students. If you are still lost on carryover ideas, Pam Marshalla M.A. 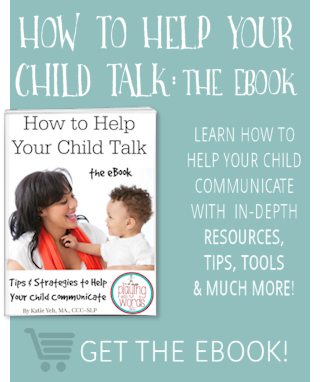 CCC-SLP has a great book called “Carryover Activities in Articulation and Phonological Therapy” and Playing With Words 365 has an amazing informational blog post series titled: “Strategies to Help Your Child Talk” which is a great resource to send parents to. As much as I LOVE all of my clients and want them to continue coming to visit me, the ultimate goal of speech-language therapy is dismissal. This year, I will be not only having my students chart their progress on a daily basis instead of doing it myself, but also use the Speech-Language Therapy Objective Binder with the “Speech Class Rules” book to explain “graduation” from speech. I always throw a small fun session with a huge graduation necklace for the graduate where he or she can choose the activity during his or her group session (or if it is individual therapy, I usually allow him or her to bring a friend). Jessica Chase, M.A. 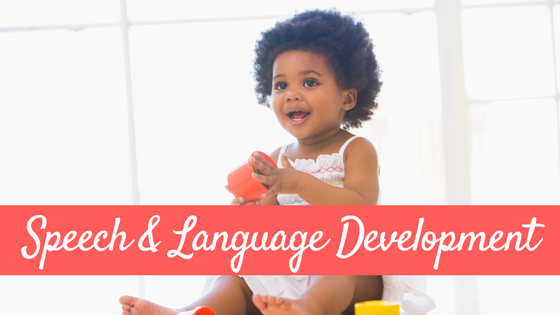 CCC-SLP is an ASHA certified speech-language pathologist. 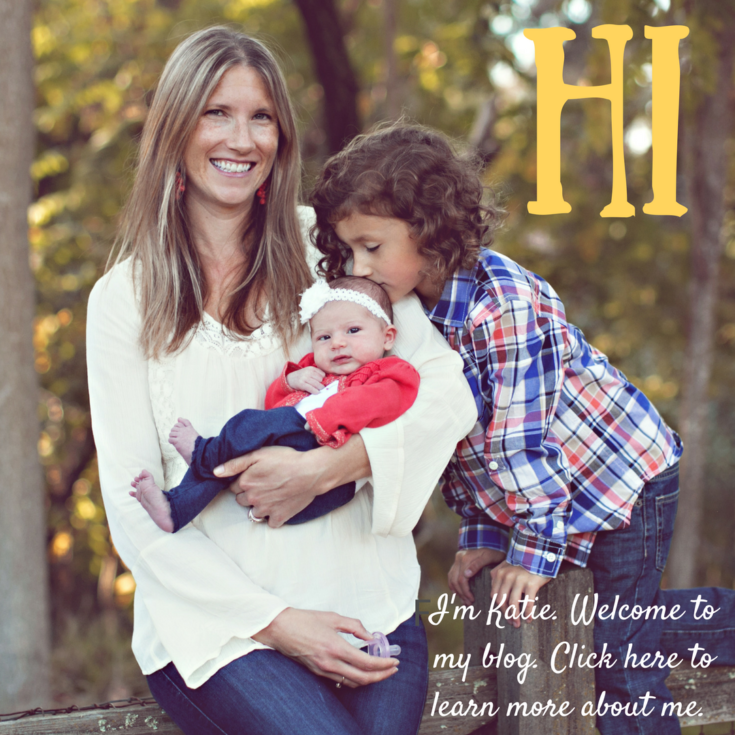 She is the author of Consonantly Speaking and the founder of Speechie Freebies. She currently works in a public school with Kindergarteners up through 12th graders with different diagnoses. Jessica’s current interests in regards to speech-language pathology include technology/mobile technology, collaborating with other professionals, continuing education, fluency disorders, social thinking, and finding/using creative therapy ideas with her clients. Find more informational blog posts, speech-related app/product reviews, therapy ideas, and worksheets on her website, Consonantly Speaking. She can also be found on Facebook, Twitter, and Pinterest. For free, downloadable and printable materials for speech-language pathology sessions from your favorite SLP bloggers, visit her Speechie Freebies website.